Much is made of American lend-lease to Russia during WW2 but let’s not forget British lend-lease. 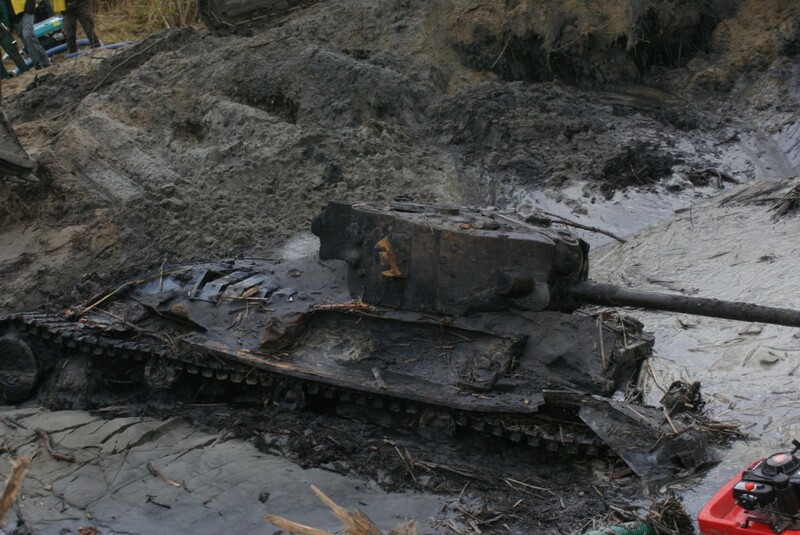 The above link documents the finding of a British Mark X Valentine tank in a Polish river. It is an extremely rare find since the Red Army did not advance into Poland until 1944. By the time they did so most of their tanks would have been the excellent T-34 medium tank. Earlier in the war the Russians would have been desperate for Valentines or anything else the western allies might send so to find one in Poland is remarkable. According to the article the British supplied the Russians with 2000 Valentines during WW2 (another 300 Valentines were provided by the Canadians. 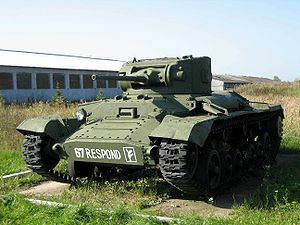 According to ww2total.com the western allies (Britain, Canada, USA) supplied the Russians with 22, 800 armored vehicles of all types during the war. About 2000 of these vehicles were lost at sea in the Arctic Conveys (ships were sunk by U-boats, mines and the Luftwaffe). The number of tanks shipped accounted for 16% of Soviet tank production. The number does not seem to mean much unless we compare it to German tank production which was about 50,000 tanks of all types. The number includes 5000 tanks manufactured prior to Germany’s invasion of Russia in 1941 and it includes tanks of Czech manufacture that were pressed into service. Also, by way of comparison consider that the Soviets manufactured 57,000 of their excellent T-34s, a medium tank. If you count light tanks and heavy tanks (link the Joseph Stalin series) the total number of tanks (and SP Guns) manufactured by the Soviet Union easily exceeds 100,000. So why did Soviet Russia need so many tanks from the western allies if they could easily out produce Germany on their own? The Soviets had over 25,000 armored vehicles on the day Operation Barbarossa (German invasion of Russia, 6/22/41) was launched. The Russians lost approximately 20,000 of them in the opening months of the blitzkrieg. A number of production areas were also over run by the Germans and a number of facilities were moved to the Ural Mountains to avoid being over run. It would be months before the Ural factories could start producing. The western allies had to act fast to replace the enormous tank losses experienced by the Red Army so that the Red Army could continue the fight in 1942. Since the US had been in the war for less than the year many of the initial shipments of tanks to Russia came from Britain and Canada. The tanks sent were mostly Matilda 2’s and Valentines. British Valentine X without the mud of a river! 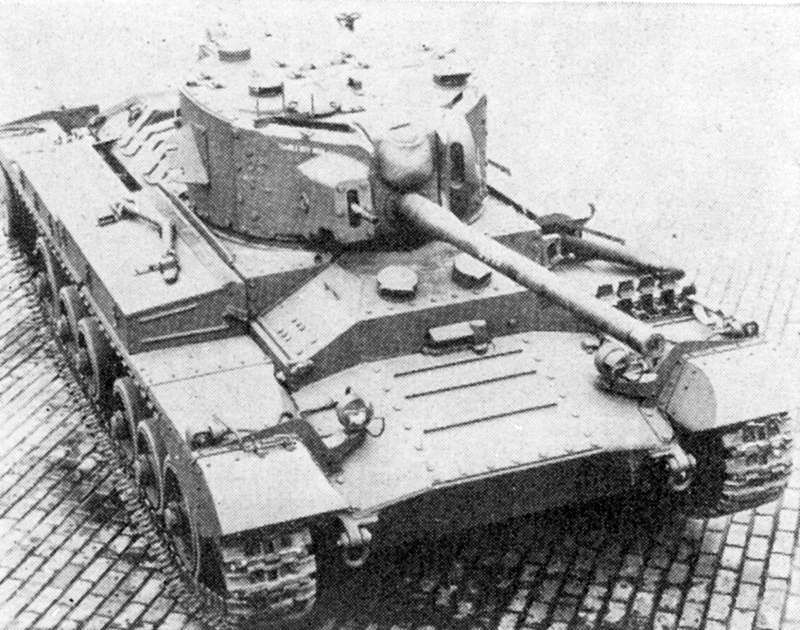 Both models were heavily armored, a bit slow (although the Valentine was faster than the Matilda) and a bit under gunned. The one found in the Polish river was a Mark X. The Valentine’s main armament was a 6pdr (57mm) gun which was adequate perhaps in 1941 but by 1944-45 woefully inadequate compared to the high velocity, higher caliber guns fielded by the Germans. Nevertheless, the Soviets equipped entire tank brigades with lend-lease equipment thus adding their numbers to the already impressive totals the Russians produced on their own by 1944-45. By the end of war the Germans were swamped by Red Army tanks and that included the Valentine.